Exclusive, award winning cricket wicket training innovation! 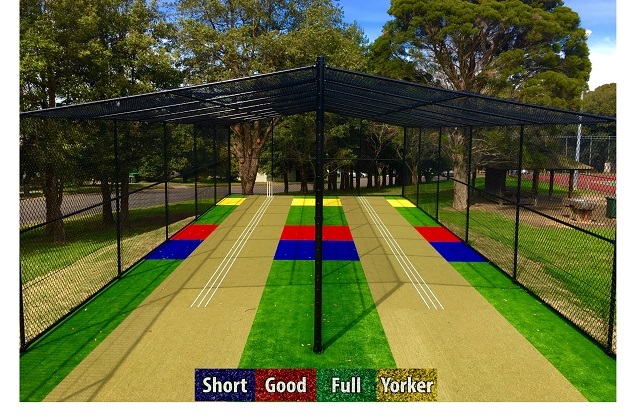 For schools, clubs or local government facilities, from a wicket replacement to the full construction of a new synthetic cricket facility, Grassports Australia offers full project management from start to finish. Contact us to arrange a consultation with one of our experienced team. Mentone Grammar have been an ongoing Grassports customer past 10 years, a long standing relationship based on trust, over 45 years industry experience and the proven delivery of quality works. 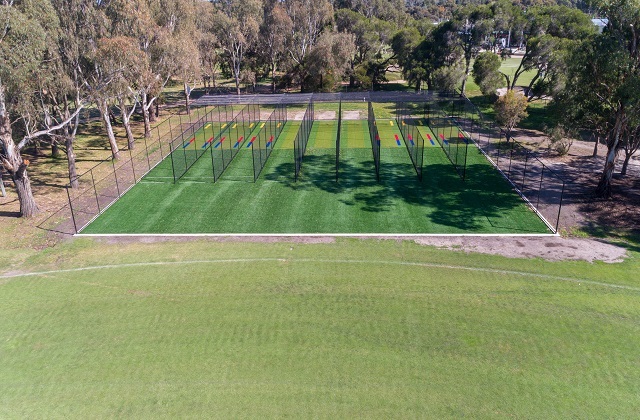 With an existing disused six lane facility, Grassports transformed the area into a highly effective design, accommodating trees and levels, to create a nine lane professional cricket training area for all teams to further their skills and enabling coaches to train multiple teams at one time. 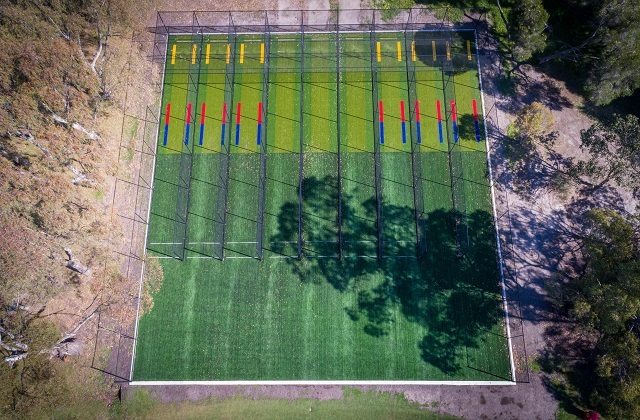 Grassports Australia’s exclusive, award winning cricket wicket training innovation was constructed in six of the nine lanes. This latest innovation in cricket coaching and player performance, only available from Grassports Australia, assists coaching and helps improve player and team performance. Key features include impressive colourful appearance, suitability for beginners to advanced athletes and clearly and permanently marked areas on the pitch. These unique features mean that players can see where the ball bounces increasing the accuracy of bowlers more quickly than on a regular pitch. Mentone Grammar Cricket Teams and the Old Mentonians Cricket Club, which includes up to 20 teams, will use the facility throughout the cricket season. Other Grassports facilities at some of the nation’s top cricket schools and clubs include: Scotch College, Good News Lutheran College and East Doncaster Secondary College in Victoria, St Peter’s Lutheran School, Brisbane Grammar, Churchie Grammar, Cricket Australia - BUPA Cricket Centre, St Paul's School, St Joseph Gregory Terrace, Kuraby Knights Cricket Club in Queensland and North Epping Oval Cricket Wickets, Northern Beaches Cricket (Weldon Oval), St Mathews Farm Reserve and Killarney Heights Oval in New South Wales.